Pressing issues pervade in our world. Recently, North Korea has added to the list of great conflicts by testing missiles. North Korea has continued to develop its nuclear and ballistic missile programs. The only question is how powerful these missiles are and how efficient are they. The increase of interest regarding the development of a deadly arsenal of missiles has attracted many countries’ attention. Specifically, President Donald Trump has addressed the potential threat during a press conference. Trump stated he was uncertain about the future of North Korea. He has been contemplating whether to take military action to address the issue: “I would prefer not going to the route of the military but it is certainly something that could happen,” Trump said. Several countries have said there is a possibility for military action, but they would all go through a serious process to determine what is necessary to address this potential threat. Interestingly, the United States military decided to add more launchers to the high-tech missile defense system located in Seoul, South Korea in order to be prepared for North Korea’s missile threats. North Korea has continued to test a variety of powerful missiles including those that can reach U.S mainland. As a neighboring country, South Korea has been asking for allied nations to demand stricter punishment for North Korea’s nuclear ambitions. In fact, South Korean President Moon Jae-in and Japanese Prime Minister Shinzo Abe met in Russia with Russian President Vladimir Putin. Putin and Abe agreed that North Korea’s nuclear tests were “threats to the global nuclear non-proliferation regime and a challenge to regional peace”. 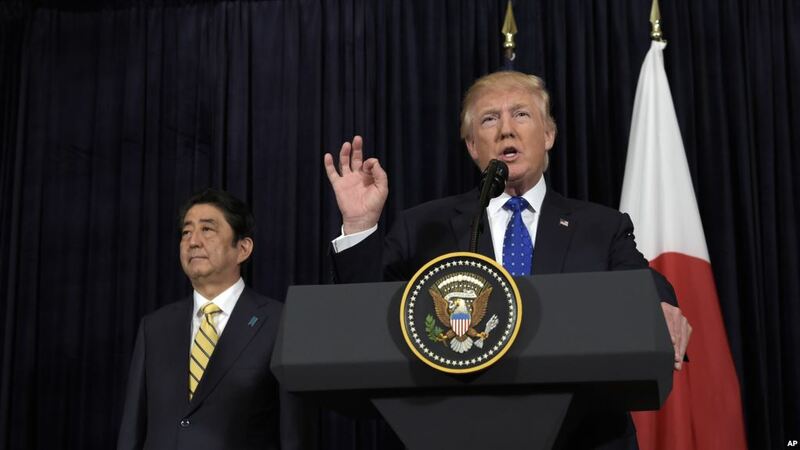 Both Jae-in and Abe proposed to denying North Korea’s oil supplies. Thus, both leaders sought stricter United Nations sanctions on North Korea and have been persuading China to consider cutting off oil supplies to North Korea. As tensions rise between nations, the limits of diplomacy will be tested. North Korea has to be cautious with its next moves as several leaders are considering military and economic action to punish North Korea’s radical behavior. Hopefully, innocent lives will not be harmed as nations try to end this conflict. Antonio Banson is a 17 year old from Hopkinton, MA and is a member of the Class of 2018 at St. Mark's School in Southborough, MA. He plans to expand his start up business and pursue his dreams in becoming a doctor. In addition, he plans to be an owner of multiple businesses worldwide. He takes his academics seriously and takes advantage of creating a strong network of business partners. Antonio is looking very bright and he is looking to help out his community in anyway he can. He has done a great amount of volunteer work at the Senior Center in Hopkinton, Habitat for Humanity, and End Hunger New England. Antonio enjoys playing basketball and golf for his school as well as assisting others with academic help or technology assistance. Additionally, he is the Editor in chief of his school's newspaper. Also, you can always find him in church on Sunday mornings. By being a journalist, Antonio will inform others about pressing topics and provide different perspectives on issues surrounding our world today.